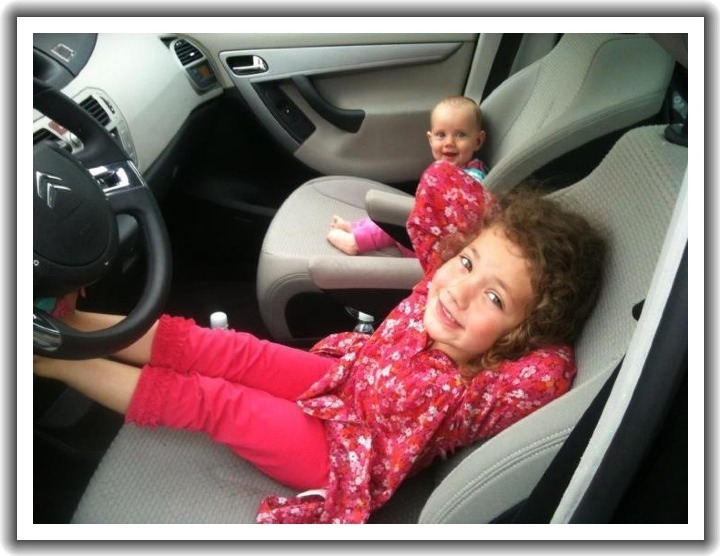 A Family's Life | It's a delicious adventure…. Like everyone else that I know, one of Seyfi and mine`s new years resolutions is to eat more healthy. It`s not that we have a very unhealthy diet, but we have days where we can get a bit lazy, and eat anything, not thinking about the health benefits of it. On this same track, we have decided that we should eat more vegetables, less meat, and try out as many new recipes as we can. So far it is going really well. We both feel so much better, more energetic, and the girls are eating everything so far as well. Part of the new foods we have been eating is brussels sprouts. I have never really liked brussels sprouts, the are a bit stinky, and have an odd taste. Growing up my brother and I used to share one, just to be able to say that we had at least tried one. I found this recipe for them roasted with a Honey-Dijon sauce on them, they are so delicious! I swapped out the honey for agave syrup so that Ela could have some as well. If you think you don`t like brussels sprouts, give this recipe a try, it just may change your mind! Preheat oven to 375 C. Soak the cranberries in the boiling water for 5 minutes and then drain the water. In a large bowl, mix the agave syrup, oil, mustard, salt and pepper. Add the cranberries, brussels sprouts and walnuts. Toss well. Spread the dressed brussels sprouts in a single layer on a baking sheet. 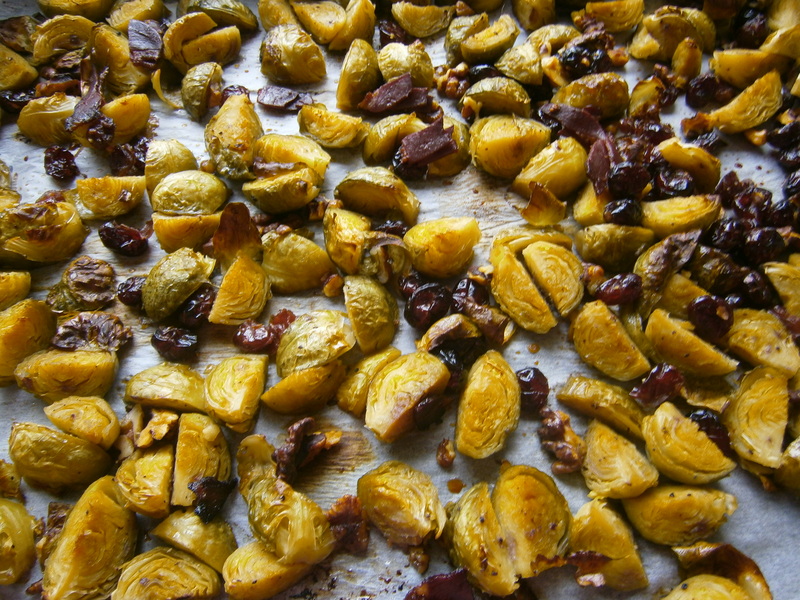 Roast for 30 minutes or until the brussels sprouts are tender, and the leaves are just beginning to brown. With all the snow that has been falling in Turkey, and in Canada, I am really missing my white winters. Our first winter in Belgium was a weird one, there was actually snow, and not just a little bit, but a lot of snow, it was wonderful. It also happened over the Christmas break, so we had a white Christmas. Our landlord told us that it wasn’t normal, that in the past fifty years he could only remember one other winter like that one. And for the past two years the winters we have been living the ‘real’ Belgian winter. It’s cold, not freezing, but cold. It’s damp, and often there is rain, and the rain is cold. Worst of all, it is grey. There is a real lack of sun. Now sometimes, like this weekend, the call for snow. And sometimes, that snow comes! And then within a few hours it quickly turns to rain, and we are back to our typical Belgian winter. Now, I’m not complaining about living here in Belgium, I actually really love it, but one does get tired of the rain. Think of me, getting out my rain boots and umbrella to walk to Alara’s school to pick her up. She never has a snow day! 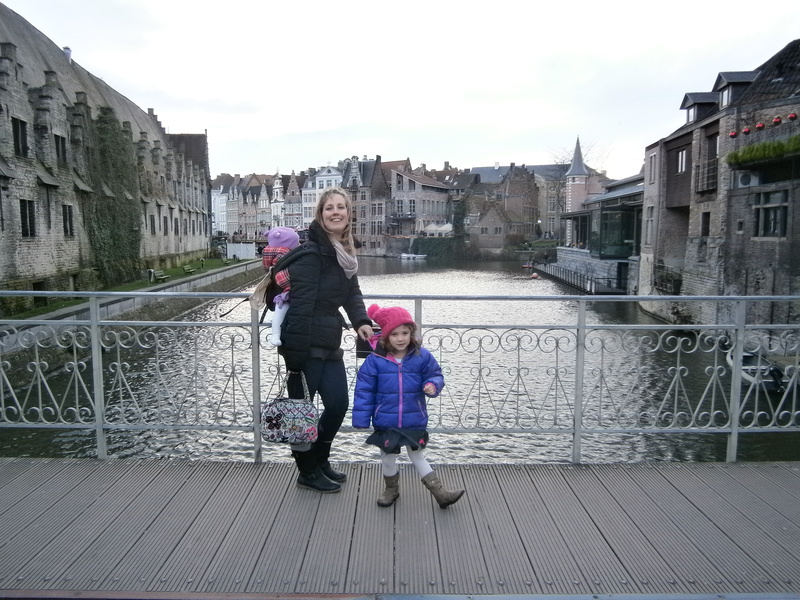 A grey day in Ghent…. Everyone is talking about this book, and I mean everyone! Like I said, everyone is talking about this book, and now I am. I’m going to start by saying, that I don’t typically read thrillers. I don’t like surprises, I don’t like plot twist that I can’t predict. I don’t like dark books or mean characters. Having said that, I loved this book. It is about a couple who have fallen on many levels of hard times. Hard times in their relationship, hard times financially, and even hard times mental. Basically they are pretty unhappy people. On the day of their five anniversary, the wife Amy, who is a bit of a ‘celebrity’ goes missing. The story is told from two points of view, hers and her husband’s, Nick. I don’t want to say anything else about the plot for fear that I will give something away. I do want to say that this book was a real page turner, I would recommend it to anyone who is in the mood for a good nail-biter/read. Since reading the book, I have now recommended it to just about everyone that I talk to, and now, my friends, I am recommending it to you! 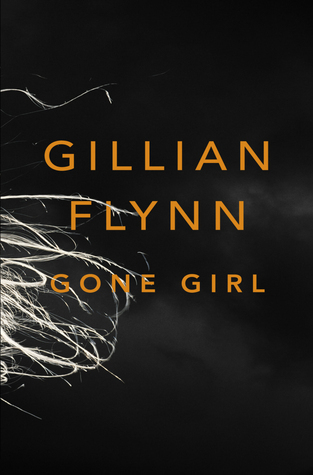 I think the sign of a good author is that after reading one of their books, you want to go on and read more of their books, Gillian Flynn must be a great author because I have just bought her first two books, and can’t wait to get into them! For as much as I love reading, I also have a total fascination with authors, what is their process, how did they get started, any tips? 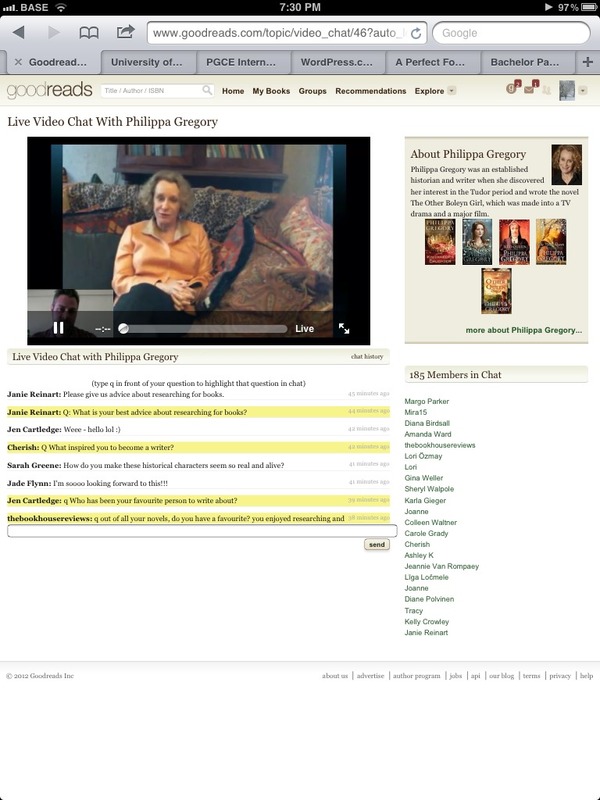 The other day, I opened my email, and there was an invitation to watch a live video chat with Philippa Gregory , one of my absolutely favourite authors! Luckily, Seyfi took the girls for a walk, I made myself a cup of coffee and watched her chat. She talked about her books, writing, and the new tv series that the BBC is making of the first three books of her cousins war series. It was awesome! When could I have ever seen something like that otherwise. 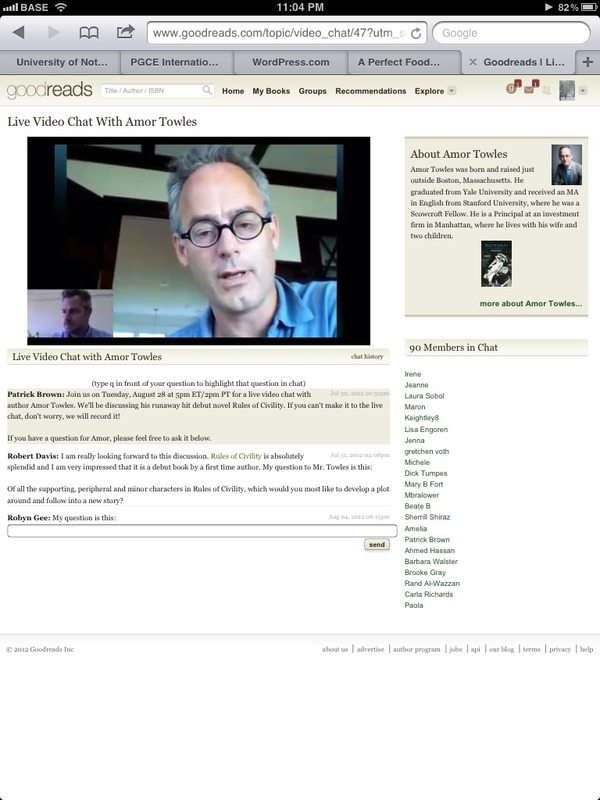 I loved his book, and watching him talk was also very neat. A Perfect Food Day… I hadn’t really ever consciously thought about it until I last week when I was listening to the Spilled Milk podcast and Molly and Matthew were talking about their perfect day of food. Let’s put together our Perfect Food Day! My perfect food day, doesn’t involve restaurants… It’s all food to be eaten at home with my family…. So what does a Turkish Breakfast include? What doesn’t it include? 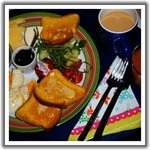 Tomatoes, cucumbers, white cheese, hard cheese, olives, eggs, parsley, fried potatoes and peppers, honey, jam, butter, crusty bread, fresh orange juice, Turkish tea…. Something you may not know about me, I’m a sandwich girl. I personally think that a sandwich can be eaten anytime, anywhere. My two favourites are toasted tomato (best when eaten with my dad) and cheese, pickle and mustard. For my perfect food day though… It would have to be a sandwich like this- whole wheat sliced bread, cheddar cheese, turkey breast (not lunch meat), tomatoe, lettuce, sliced pickles, mayonnaise, mustard, fries on the side with ketchup. San Pellegrino to drink…. In the Podcast, they also chose a snack. There are so many snacks to choose from, but if I had to choose one, than it would have to be nacho chips and some sort of salsa layered dip, or veggies and onion dip. Dinner, yes, what’s for dinner. This one is easy, lasagna, caesar salad, garlic bread. Glass of red wine, probably a Pinot noir…. Easy. What is your Perfect Food Day? Write about if in the comments, or on your own blog, and put a link in the comments! What a great summer we have had here! We went to England and Wales for visiting and because I have started back to school and had some course work to do. I’m a student again! Loving it?!? It will make for an interesting year! Alara has started piano lessons, and is doing really well. She has enjoyed her summer vacation, but is looking forward to seeing her friends at school! Ela is crawling (all over) and standing up now! She’s such happy baby! Here we are, heading into our last year here and Belgium. This summer has made us realize all the things we still need to do and see! You can believe that we will seeing everything that we get up to before our return to Turkey. Joy the baker Podcast talked about some of my favourite things, book clubs, nail polish and autumn fashions. NPR Pop Culture Happy Hour is the podcast that I have been listening to like crazy! So funny and interesting! I can’t believe another Friday is actually here! Time goes by so quickly! Our big news is that Ela is now rolling over from her back to her tummy! Such a big girl! I love crepes, but why does it always auto correct to creeps? Anyway these look delicious!